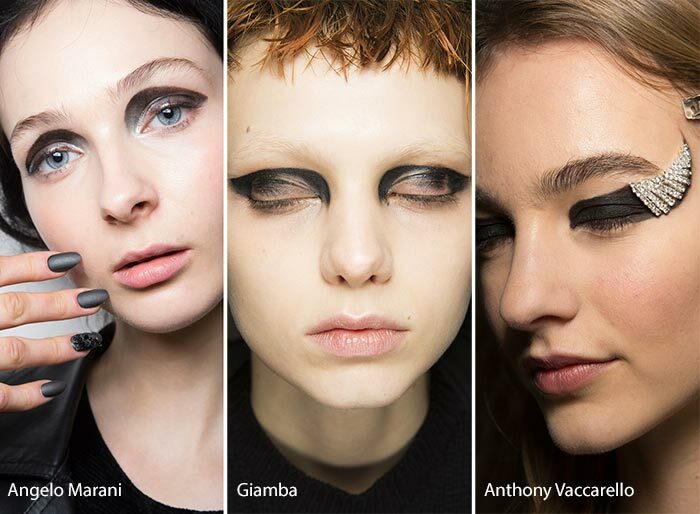 Graphic eye makeup is in trend! learn how to do it in 7 different styles! What is graphic eye makeup? Let’s just say you love wearing the cat eye or the winged eye; maybe you got bored of the same style too, and this is when you would want to amp up the look. This is where the graphic eye makeup comes into play. 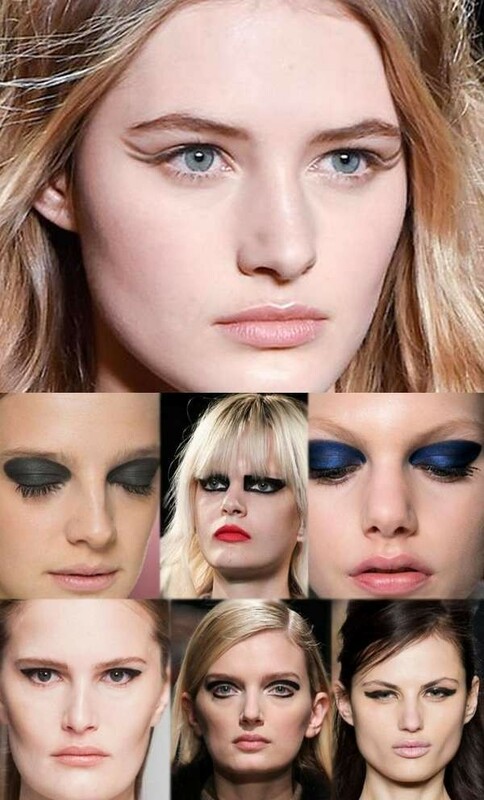 You can make the eyeliner styles look cooler and trendier, hipper to say the least. And you can decide on how dramatic and bold you would like it to be. This is why, PYTs across the globe are making eye makeup statements using graphic eyeliners. 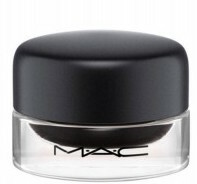 You place a solid line on the upper lash line, and then go to the outer corner of the eyes. The next part is all about your imagination and creativity, when it comes to curating your own graphic looks for the eye makeup you want to flaunt. Some get very artsy with arrows, some like the blocks, some play with the crease and some with the outer corner of the eyes, with or without mascara that too. 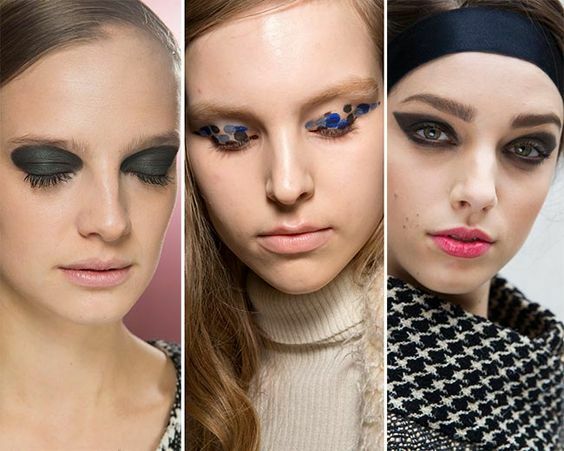 Graphic eyeliner is versatile and haute! Forget your liner and kohl, and get bold with vibrant warm toned eye shadow shades to play graphic eye makeup with this year. Greens, yellows, orange and tangerines et al, graphic eye makeup can be done by lining the eyes with the shadow pigment in stark matte hues sans the need of black or brown liner. 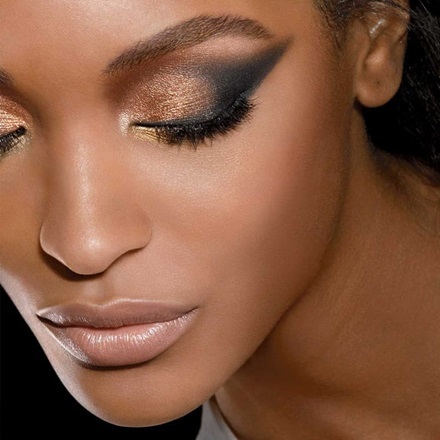 Up one notch from the gorgeous smokey eyes we have seen so long, fall-winter 2016 showed us how we could avoid the smudge and yet have defined dark bold black and gray lids to flaunt. 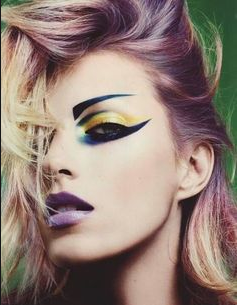 Graphic eye makeup quite quirky and at its best, you could even use warm toned colors for a very bold rainbow-ish look and a sultry touch to come through. For the defined hollow cat eyes, one would need to use a dark gel liner on the crease all the way to the outer upper corner of the eyes. The same crease line then would enter into the inner corner of the eyes from the upper lids and all the way down to the lower lash line, culminating outwards towards the upper edge of the cat eye drawn outside. The filling in the middle isn’t necessary, but if you have to do some filling, use neutral brown shades for the same. If you are feeling a little more feisty and quirky tonight, the arrow graphic eye makeup is what you should be wearing. As seen on various fashion weeks last year, a perfect thick winged liner sans the smudge has been drawn towards the outside of the eyes. 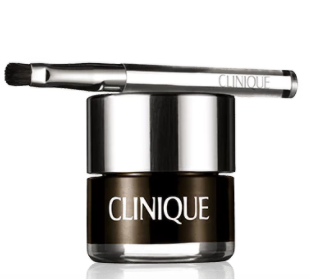 Below the line on the outer corner of the eyes, three angular lines perpendicular to the wings have been drawn with a gel liner. If not the whole eye, our fashion gurus show us how one could play with vibrant bold shades only for the lower lash line to be dolled up in. Magentas to auburns, coppers to greens and plenty of sparkling blues sans the shimmers, can be smudged into the lower lash line and played with. No kohl or black pencil would be needed for this minimal yet edgy touch! Geometric patterns have emerged in fall-winter 2016 as a haute trend to wear, when it comes to decking up the lids with chic graphic eye makeup. Geometric square patterns to circles and triangles, use your imagination with a black gel liner. Chic and cool, and perfect for the summer months too, aqua graphic liners are making inroads into the vanity cases of many PYTs across the globe! 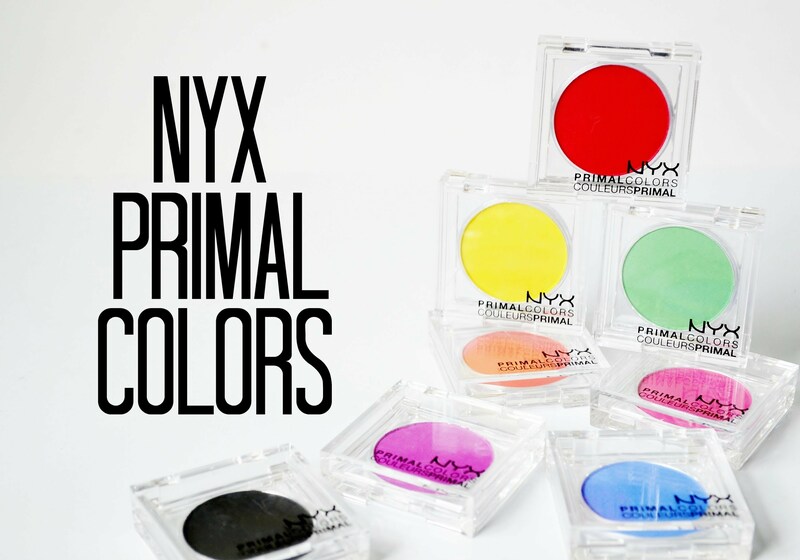 Coupled with the usual black and brown liners, aqua liners are being used to define the eyes further in matte tones. Have fun going all graphic this year!